I'm writing an article this week about hospitality, that centers around an experience I had of receiving radical hospitality a few years ago. Hospitality is an important theme and quality in the scriptures. I have even heard one theologian say that the story of the scriptures is God extending hospitality to us and us learning how to receive it and extend it to others. 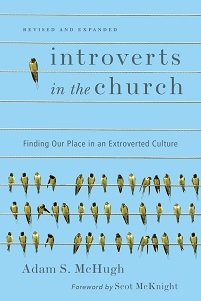 One of the things I say in Introverts in the Church is that introverts have a tendency to treat their homes as their sanctuaries, as a place of respite from a tiring world. And that's not a bad thing. But it does make me wonder how introverts can extend welcome to other people. Obviously, there is much more to it than just allowing people into our homes, and we can practice hospitality in many different settings and on many different ways. 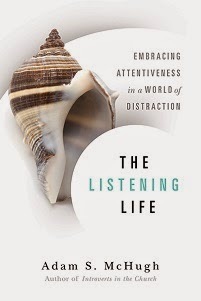 Listening, for example, is a profound act of hospitality. What do you think? How do you practice the welcome of Christ to others? Do you enjoy opening your homes to others? How are you growing in becoming a more hospitable person? If for no other reason, I think this is an important topic to consider because the holidays are only a couple of weeks away!